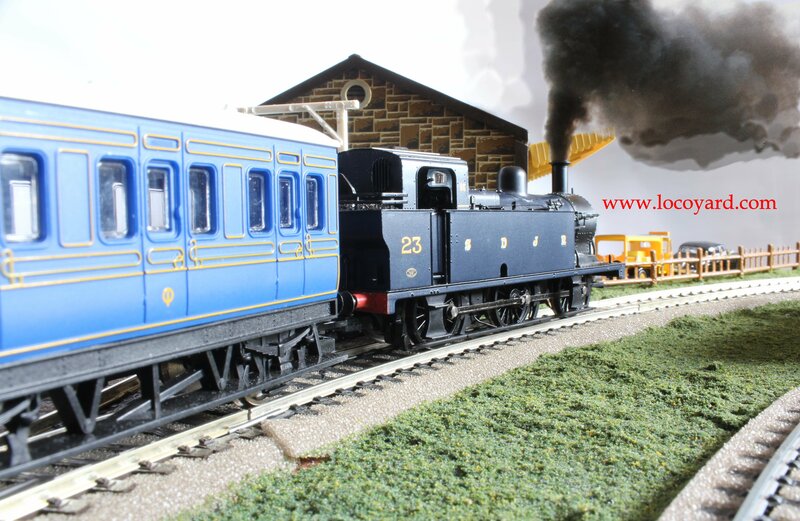 Although the 3F Jinty has it’s roots in the rebuilt Midland Railway 2441 Class of 1899 (with it’s distinctive Belpaire firebox), the class were built by the London, Midland and Scottish Railway (LMS) to a design by Fowler from 1924-1931. They were a very successful type that eventually totaled 422 locomotives. 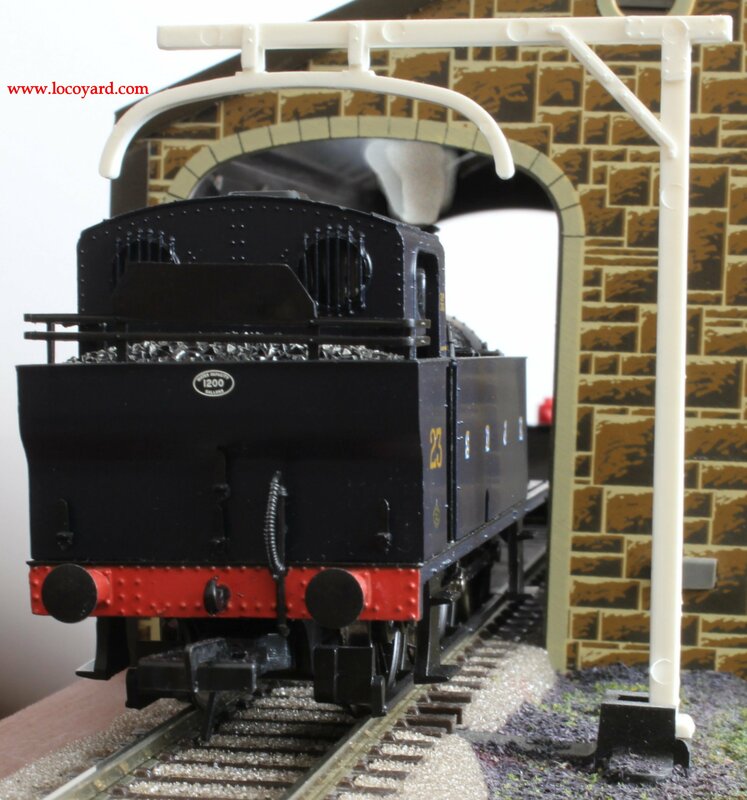 This particular Jinty started life as LMS 16410 and was built in 1926 by the North British Locomotive Company in Glasgow. Originally allocated to Willesden, 16410 served at many different depot’s in it’s life. In 1934 it was renumbered 7327 by the LMS. When the LMSR was nationalised and British Railways were formed, 7327 (then based at Willesden) became 47327. Withdrawn in 1966 it was sold for scrap, fortunately to Woodham Bros in Barry where it survived the cutters torch and bought by the Midland Railway trust in 1970. 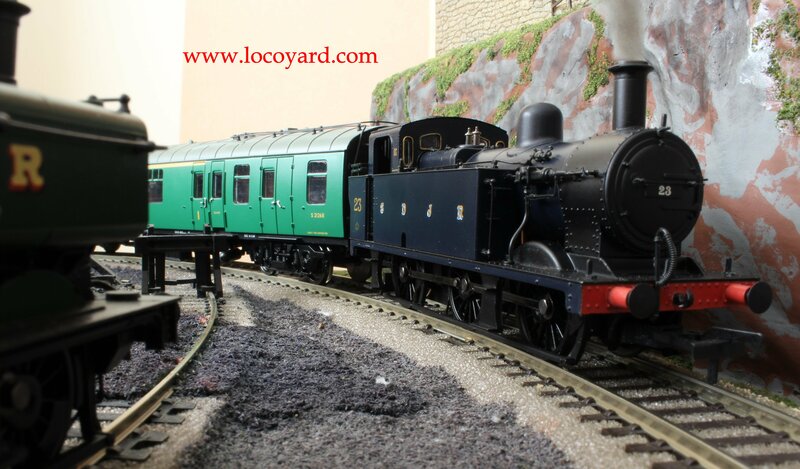 This was one of two Jinty’s bought from the scapyard by the newly formed trust (the other being 47357). 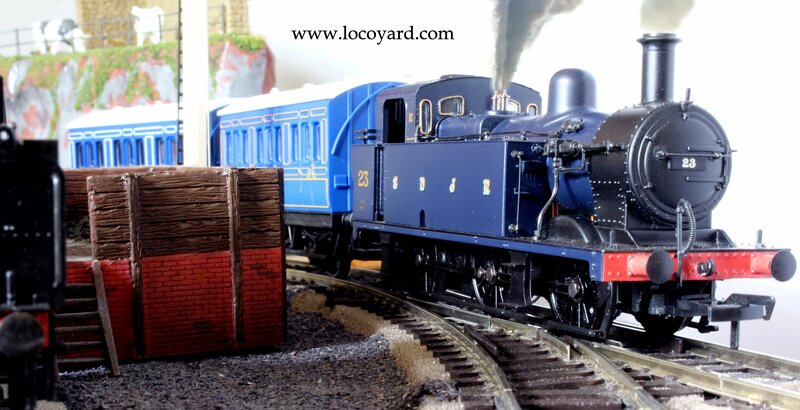 It is a popular locomotive and has been painted in many colours in preservation, including lined LMS livery, as Thomas the Tank engine and most recently as S&DJR number 23. The Somerset and Dorset Joint Railway (S&DJR) has always had a fascinating appeal to railway enthusiasts. Over the course of it’s history, the line’s mix of owners and changing regions lead to it being served by many different locomotives. In the early twentieth century, the railway was in joint ownership between the LSWR and the Midland Railway – the later being in charge of motive power. Therefore, it was no surprise that Midland/LMS Railway designs were used by the S&DJR – including the 3F Jinty. The original S&DJR number 23 was built in 1929 in Stafford by W. G. Bagnall. It was soon absorbed into the LMS in 1930, becoming number 7314 in 1934 and BR 47314 in 1948. Unlike 47327, none of the S&DJR Jinty tank locomotives survived into preservation and the original number 23 was withdrawn in 1966 and disposed of the following year. With this in mind, it is nice to be able to see what this little tank engine would have looked like in Prussian Blue, and 47327’s disguise has been a popular one with enthusiasts.